Now, all four of my Olympic medals are on display, with Kathleen’s at Canada’s Sport Hall of Fame in Calgary. If you’re there — have a look! Maybe they’ll let you hold them… they’re heavy! 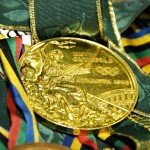 When I was 16 I remember watching the closing ceremony of the 1984 LA Olympics and I wanted to go to a party like that! 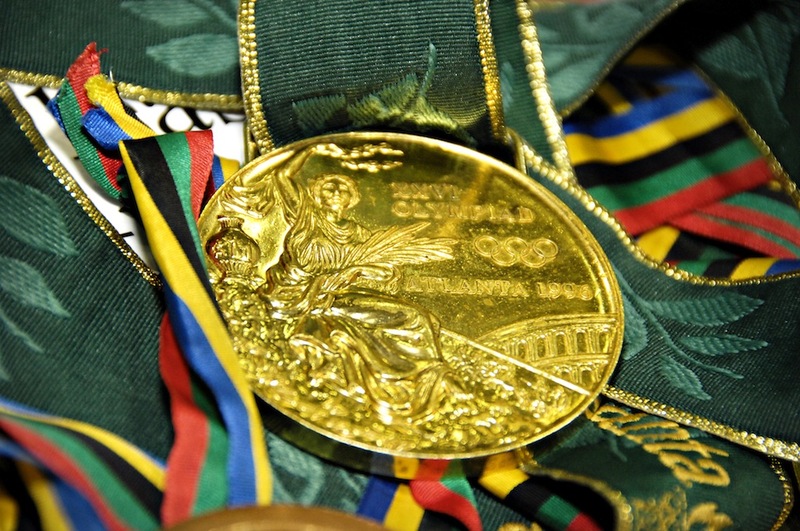 At the time I played almost every sport my high school (Etobicoke C.I) had; basketball, volleyball, soccer, cross country, track and field but while I could make all the school teams – I really wasn’t great at any of them. Soon after I saw rowing in a movie (Oxford Blues) and in a TV Commercial (it was a Coffee Crisp ad), and I found myself asking a lot of questions about it. I asked my mom “How do you learn to row?” She had no idea – she could only suggest a place for me to search for info. My Olympic journey started because I looked up the Argonaut Rowing Club in the phone book! After taking a Learn-to-Row program at the Argonaut club in the spring of 1986 I was asked if I wanted to become a recreational or competitive member of the club. I couldn’t imagine the former and thrived as the latter. There are ways to row a boat; with a port-side oar, a starboard-side oar, or with two oars. The first two kinds refer to sweep rowing and the last kind refers to sculling. 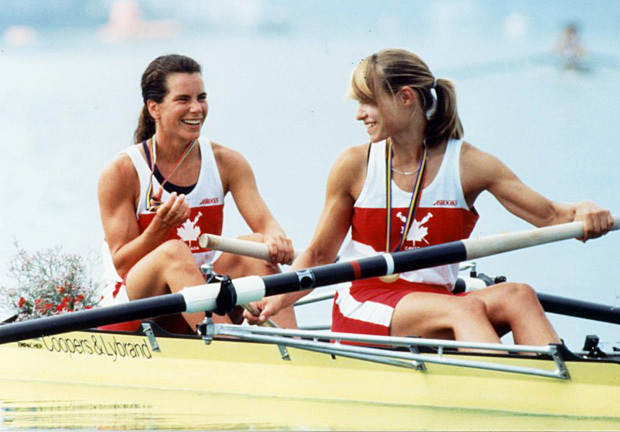 For my first two years of rowing I was port, but switched to starboard when I tried out for the Sr. national team. 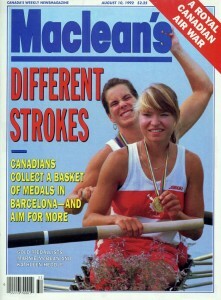 My first national team partner was Julie Jespersen and I raced with Brenda Taylor for a bit before our coach, Al Morrow, paired me up with Kathleen Heddle. It has been with Kathleen that I’ve had most of my biggest rowing successes. Kathleen and I had our first big win in Lucerne Switzerland in 1991. Lucerne is a special place for rowers; it is our ‘Wimbledon’. It is often the last World Cup race before the World Championship so all the countries go, and everyone shows up fast and ready to race. I’ll never forget how I felt the night before the final—we knew we could win and I was scared. I told Kathleen how I felt and she said “me too”. From that moment on I knew we’d be fine. If we were both scared it had to be because fear was normal. We won the next day, and on many other occasions after that.